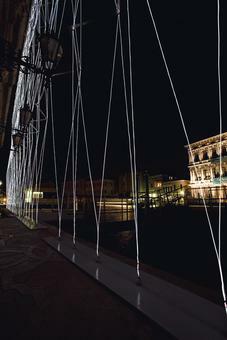 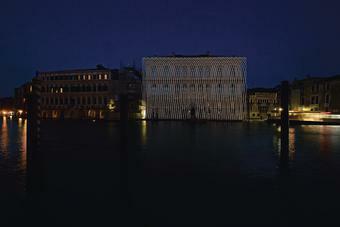 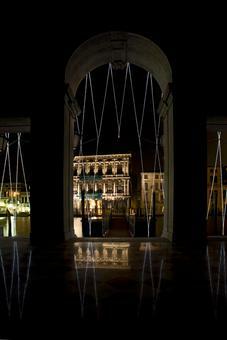 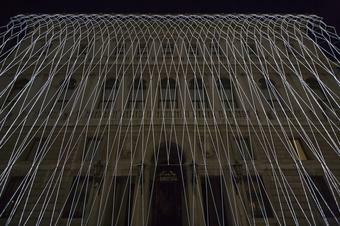 A three-dimensional mesh of light-emitting cables was hung in front of the façade of Palazzo Grassi, home to the François Pinault Collection, on the Grand Canal in Venice, Italy. Only visible at night, the semi-transparent pattern was based on a mathematical formula that described the rippling movement of water. 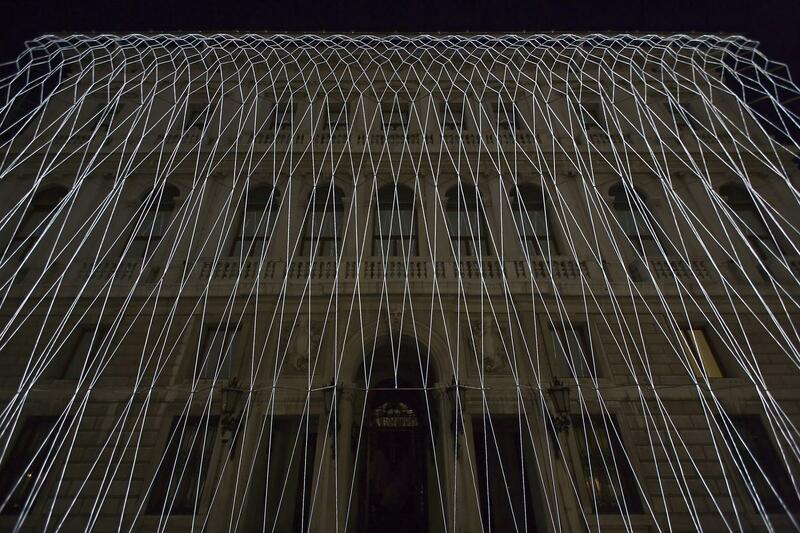 As people sailed past the Palazzo, the mesh appeared to move subtly.